Air quality readings covertly taken aboard four cruise ships have found the air to be as dirty as some of the world’s most polluted cities. That’s according to a covert study taken by a Johns Hopkins University researcher working on behalf of an environmental group. Two of the vessels in the study were cited last year for air quality emissions by Alaska regulators. Ryan David Kennedy said he’d never been aboard a cruise ship before 2017. That’s the year the assistant professor at Johns Hopkins University’s Bloomberg School of Public Health booked cruises in Mexico, the West Coast, the Bahamas and the Caribbean. He brought aboard a hand-held P-Trak ultrafine particle counter. He said he tried not to attract attention as he took methodical readings from the ship’s smokestacks. Over 13 months and four different ships, he took readings both in port and at sea. “The overall trend I observed across the different ships was that the counts were a lot higher in the back of the boat,” Kennedy said. Higher readings downwind indicated the pollution was coming from the ship’s stacks — not from the port or the town. The covert research and subsequent report was commissioned by Stand.earth, an international environmental group. Stand.earth’s shipping campaigner Kendra Ulrich said cruise lines could do a better job of protecting public health. “The type of particulate pollution, the counts that we were finding onboard, were comparable to some of — and in some cases many times worse than — some of the world’s worst cities, like Beijing, China, and Santiago (Chile),” Ulrich said by phone from Bellingham, Washington. Last summer, Stand.earth launched a campaign to pressure Carnival — which commands a significant portion of the cruise market — to stop running its ships on heavy fuel oil. The industry saves money by using cheaper heavy fuel oil that’s relatively high in sulfur and heavy metals. Carnival spokesman Roger Frizzell touts “Advanced Air Quality Systems” on almost 80 percent of the cruise line’s fleet. Carnival has been installing emissions control systems called “scrubbers” on ships in the past several years. The scrubbers mix water with the exhaust, allowing the the sulfur dioxide to be “scrubbed” from the air and later discharged as oily wastewater. That’s allowed it to meet EPA limits on sulfur dioxide emissions while using the cheaper fuel. Environmentalists are critical of the technology. While the Stand.earth report wasn’t peer-reviewed, Kennedy said he’s been as transparent as possible by publishing his raw numbers. “Which would, in theory, allow anyone check my study findings,” Kennedy said. Ed White runs the Alaska Department of Environmental Conservation’s cruise ship monitoring program. He didn’t dismiss the Stand.earth study’s findings out of hand. 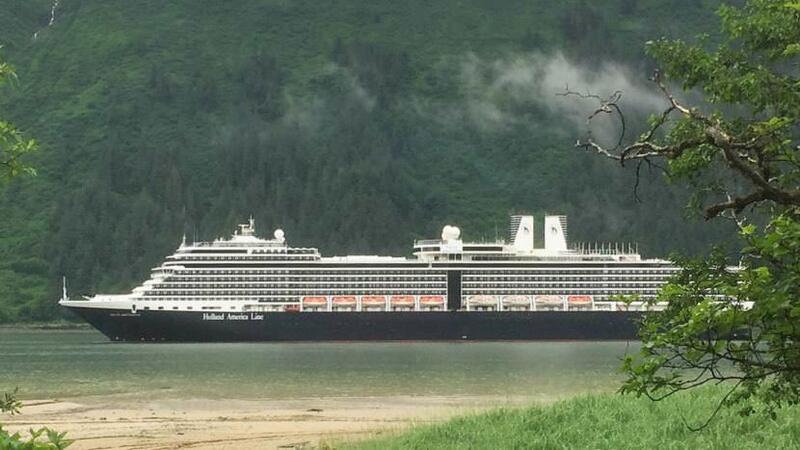 There were nine violations of Alaska’s air quality standards for cruises in 2018. More than 130 people — a record number — lodged complaints last year with the DEC about air quality from cruise ships. So far, only one cruise line has settled with the state. Norwegian Cruise Lines paid a fine of $37,500 for air quality violation by Norwegian Jewel. Settlements with other cruise lines — including Carnival-owned subsidiaries — are pending, according to the DEC’s 2018 air quality compliance report. This spring, DEC is installing pollution sensors around downtown Juneau. More details of the DEC’s pilot program will be unveiled at a meeting scheduled for 5:30 p.m. Tuesday at the City and Borough of Juneau’s assembly chambers. That’s when state regulators plan to hear community concerns about air pollution from ships. 2019 promises to be another record year, with 1.3 million passengers arriving on 37 cruise ships calling at Alaska ports.